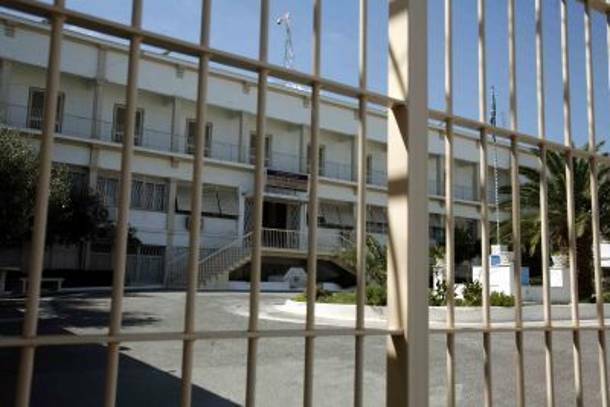 Vasilis Dimakis, the incarcerated student who is claiming the right to higher education, has been transferred to Korydallos Prison Hospital but refused to be examined. Since he is now on the 23d day of his hunger strike and aldready started a thirst strike, the doctor there predicted that serious health issues will appear soon and suggested Dimakis’ transfer to a proper hospital. Originally published by Electra Koutra on Facebook. Translated by Black Cat. His lawyer posted the following on facebook ” In a state of severe exhaustion, instead of talking about his condition, he spoke about the horrible conditions in Korydallos Prison Hospital. He is housed on the ground floor, a place known as “disciplinary” section, in the room where another prisoner, a seropositive client of mine who had been vindicated by the European Court of Human Rights, recently committed suicide. There is no heating in that room. When he got there, he was told to lie down on a matress covered in dried blood. ‘The blanket is sweating’ he said, “the humidity in the room is too much”.